Allison Warden (AKU-MATU) is an Iñupiaq Eskimo inter-disciplinary artist with a passion for the self-determination of Indigneous Peoples. She raps under the name AKU-MATU and is an “Artist in the Schools” for the Alaska State Council of the Arts, giving workshops to youth, empowering them through the use of theatre and music. She has performed as AKU-MATU at Columbia University twice as part of concerts held by the Department of Ethnomusicology. 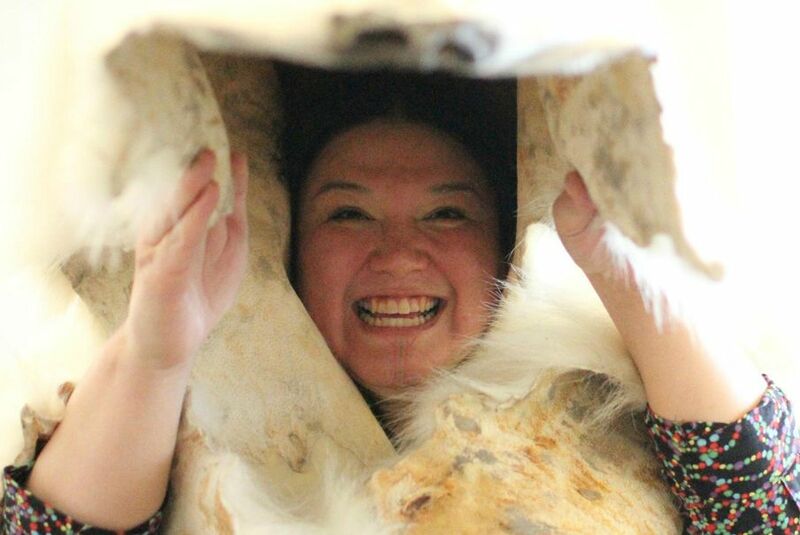 Her one-woman show, “Ode to the Polar Bear” has traveled extensively across Alaska and has been completely reworked into a longer piece, “Calling All Polar Bears” which debuted at Pangea Theatre in Minneapolis, Minnesota as part of a National Performance Network performance residency grant. The show focuses on climate change and the push to drill in the Arctic National Wildlife Refuge. In 2011, she had a speaking role in “On the Ice” a film by Inupiaq filmmaker Andrew MacLean. In 2012, she received a Rasmuson Individual Artist award in performance art and also in 2012 was an “On Our Radar” artist for Creative Capital in performance art. In 2013, she received a Connie Boochever fellowship in performance art from the Alaska State Council of the Arts. She recently performed at the Anchorage Museum as part of her cinematic funk-fusion band, Yada Di. She is currently working on her AKU-MATU album with Seattle-based DJ WD4D. The first track, “Ancestor from the Future” is expected to be released in late July 2014.